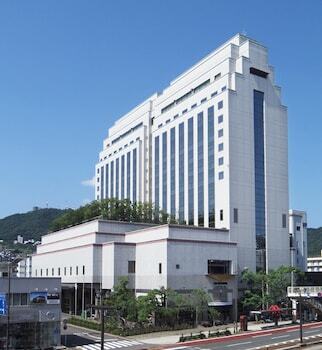 When you stay at Hotel Nagasaki, BW Premier Collection in Nagasaki, you'll be by the ocean, a 2-minute drive from Twenty-Six Martyrs Museum and Monument and 6 minutes from Nagasaki Atomic Bomb Museum. Featured amenities include a business center, dry cleaning/laundry services, and multilingual staff. Self parking (subject to charges) is available onsite. When you stay at Yumotoya Onsen Ryokan in Iwamuro Onsen, you'll be 13 minutes by car from Uwasekigata Park. Free self parking is available onsite. With a stay at this guesthouse in Takayama (Hida Takayama Onsen), you'll be steps from Takumikan Craft Museum and 4 minutes by foot from Kusakabe Mingei-kan. Free self parking is available onsite. Located in Fukuoka (Hakata-ku), 81's Inn Nakasu - Hostel is within a 15-minute walk of Tochoji Temple and Fukuoka Asian Art Museum.